This morning was chilly after all the rain yesterday, so I decided to make something warm for breakfast. 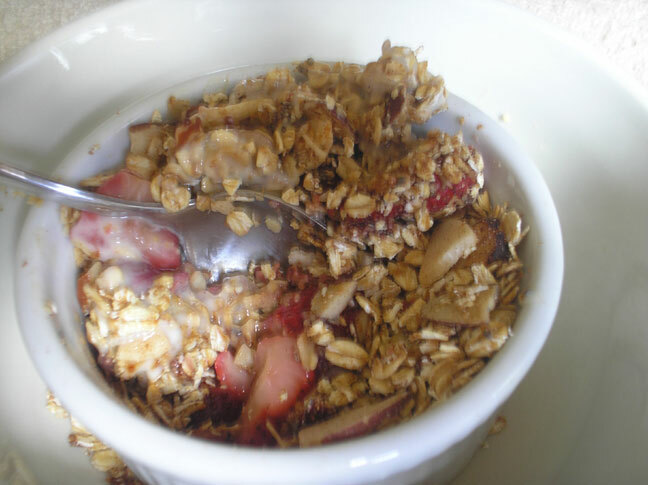 With some strawberries that needed to be used, strawberry crisp seemed like the answer. 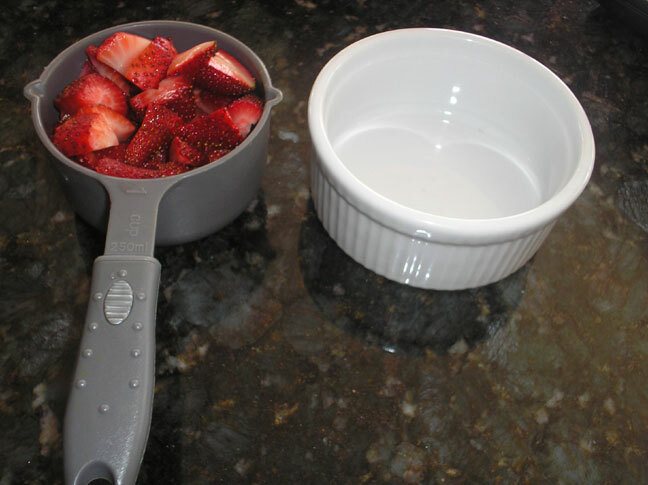 I started with about a cup of fresh strawberries, sliced, ready to go into an oven-proof dish. 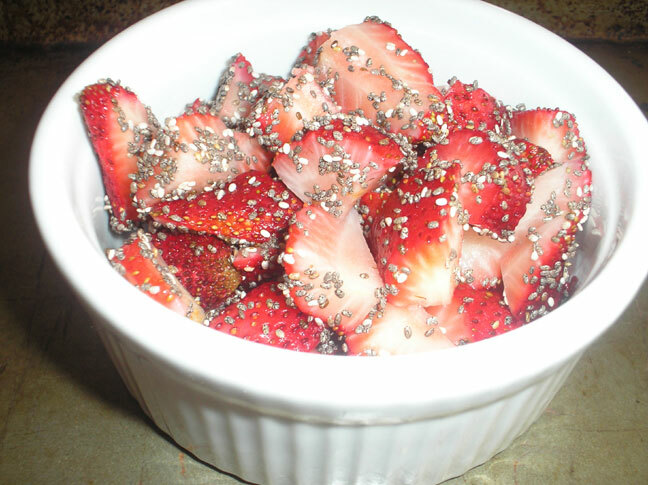 I wanted to make sure they didn’t get too watery when baked, so I added 1 tablespoon of chia seeds with the strawberries. They also add a nice boost of protein, fiber and omega-3 fatty acids to the dish. 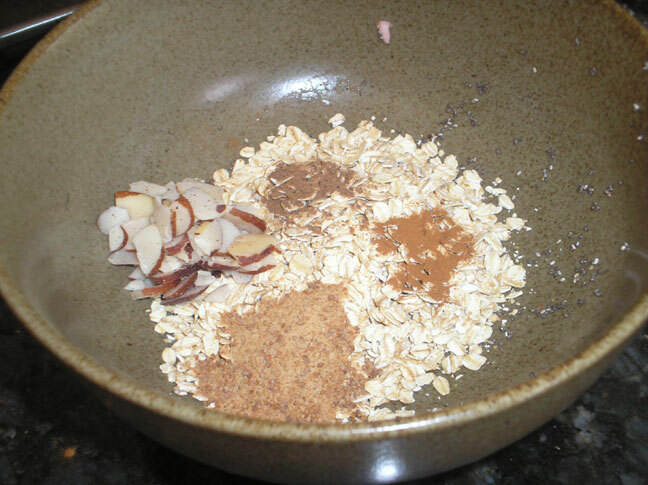 For the topping, I combined 1/2 cup of rolled oats, 1 tablespoon of date sugar, a dash of cinnamon, a dash of nutmeg, and about 1 1/2 tablespoons of sliced brazil nuts. I wanted the topping to get a little crispy, so I added a small amount of coconut oil, about 1 1/2 teaspoons. Before and after baking for about 25 minutes in the oven. The strawberries can be replaced with any fruit, fresh or frozen. If using frozen fruit, the baking time could be up to 30-40 minutes, depending on the size of the dish. After cooling for about 10 minutes, I topped this creation with a couple of tablespoons of plain, unsweetened soy yogurt. Yum! This was not a sweet dish, with only a tablespoon of added sugar. That’s how I know it was breakfast and not dessert :-). I love this! 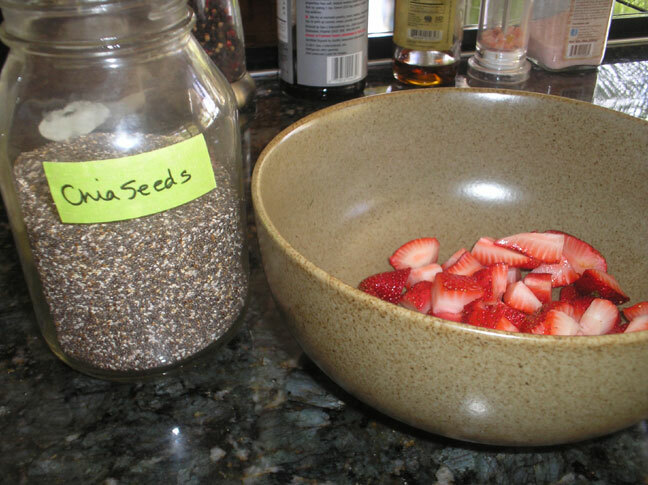 It looks so delicious and I’d never think to use strawberries… I always eat them too fast to get them into an oven!